Toxins implanted into GM food crops to kill pests are reaching the bloodstreams of women and unborn babies, alarming research has revealed. A landmark study found 93 per cent of blood samples taken from pregnant women and 80 per cent from umbilical cords tested positive for traces of the chemicals. Millions of acres in North and South America are planted with GM corn containing the toxins, which is fed in vast quantities to farm livestock around the world – including Britain. However, it is now clear the toxins designed to kill crop pests are reaching humans and babies in the womb – apparently through food. It is not known what, if any, harm this causes but there is speculation it could lead to allergies, miscarriage, abnormalities or even cancer. To date the industry has always argued that if these toxins were eaten by animals or humans they would be destroyed in the gut and pass out of the body, thus causing no harm. 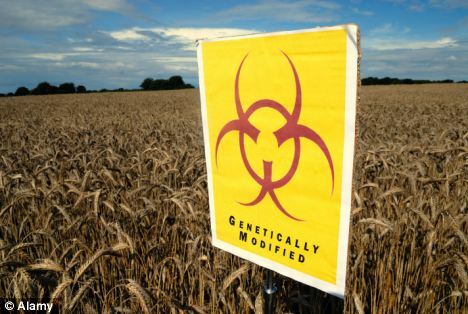 Food safety authorities in Britain and Europe have accepted these assurances on the basis that GM crops are effectively no different to those produced using conventional methods. But the latest study appears to blow a hole in these claims and has triggered calls for a ban on imports and a total overhaul of the safety regime for GM crops and food. Most of the global research which has been used to demonstrate the safety of GM crops has been funded by the industry itself. The new study was carried out by independent doctors at the Department of Obstetrics and Gynaecology, at the University of Sherbrooke Hospital Centre in Quebec, Canada. They took blood samples from 30 pregnant women and 39 other women who were not having a baby. They were looking for residues of the pesticides associated with the cultivation of GM food. These include so-called Bt toxins, which are implanted using GM techniques into corn and some other crops. Traces of Bt toxin were found in the blood of 93 per cent of the pregnant mothers – 28 out of 30. It was also found in 80 per cent of the umbilical cords – 24 out of 30. In the non-pregnant group, traces were found in the blood of 69 per cent – 27 out of 39. It is thought the toxin is getting into the human body as a result of eating meat, milk and eggs from farm livestock fed GM corn. 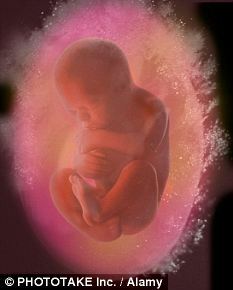 They said the Bt toxin was ”˜clearly detectable and appears to cross the placenta to the foetus’. The director of GM Freeze, an umbrella group for community, consumer and environmental organisations opposed to GM farming, described the research as ”˜very significant’. Pete Riley said: ”˜This research is a major surprise as it shows that the Bt proteins have survived the human digestive system and passed into the blood supply – something that regulators said could not happen. The Agriculture Biotechnology Council, which speaks for the GM industry, questioned the reliability and value of the research. 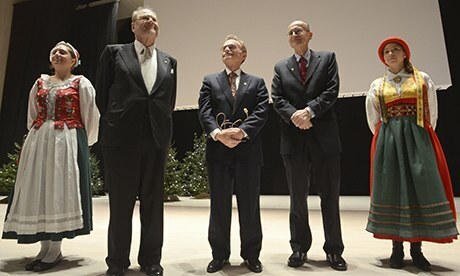 He said the toxins found are also used in other farming systems and gardening ”˜with no harm to human health’.